Puchi's favorite! 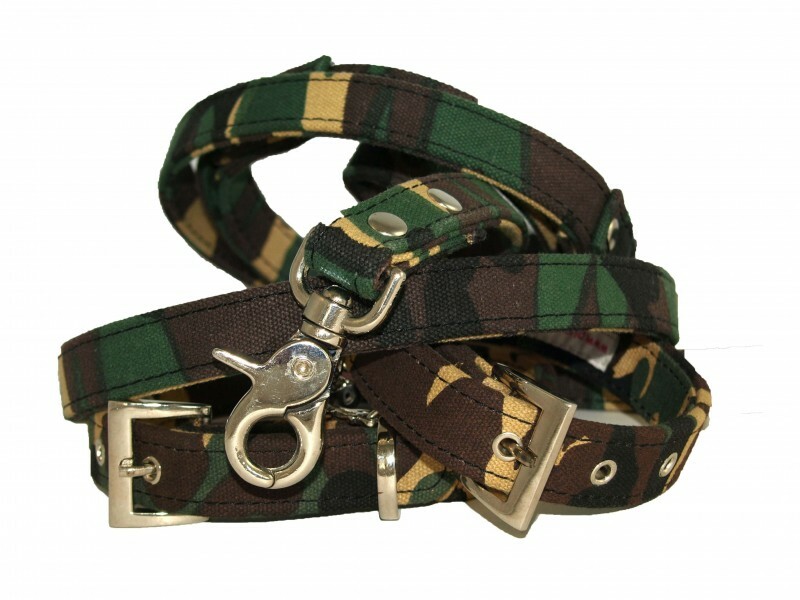 The Camouflage canvas collar and lead set is great if your dog fancys a bit of combat! 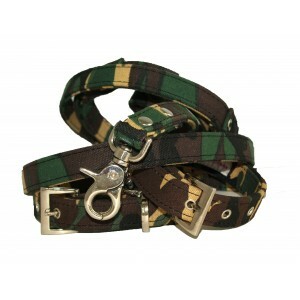 With chrome fittings, this collar is available in sizes 8"-26" neck. Includes the matching lead for a real camo combo! X Large Neck Size: 17-20"